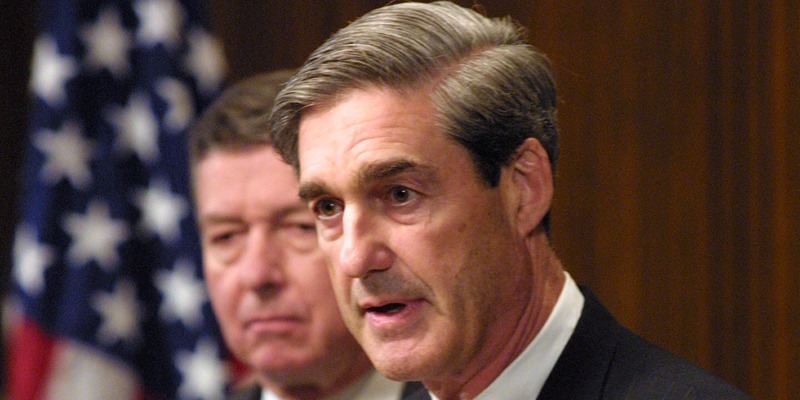 Special counsel Robert Mueller has requested an interview with President Donald Trump in the ongoing Russia investigation. It’s unclear whether Trump will accept the request, but if he does, Mueller will have a lot to ask him. Here is what Mueller would likely focus on in a potential interview. Special counsel Robert Mueller is getting closer to his key witness in the Justice Department’s Russia investigation: President Donald Trump. While Trump has said he’d let Mueller question him under oath, his lawyers have advised him against agreeing to an interview, concerned that the president will lie or contradict himself, The New York Times reported on Monday. 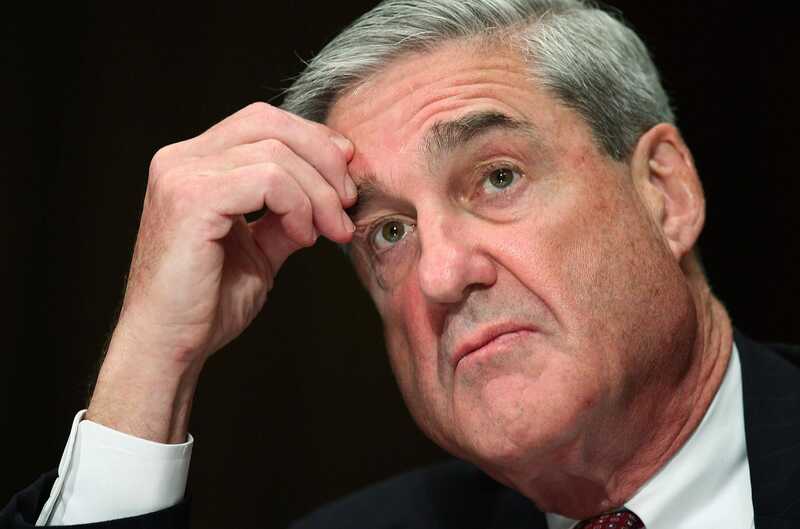 Mueller, the former FBI director, is leading the probe into alleged collusion between the Trump campaign and Russia during the 2016 election, and whether Trump obstructed justice during the course of that probe. Trump’s lawyers worry that if he makes false statements during the interview, investigators could charge him with perjury, according to the Times. A majority of respondents to a recent poll say they want Trump to agree to Mueller’s request, but it’s unclear what the president – and his lawyers – will ultimately decide. After saying he was “100%” open to being interviewed, Trump later said it’s “unlikely that you’d even have an interview” because there was “no collusion.” Yet sources told CNN that Trump still wants to testify under oath because he has experience doing so in business lawsuits and thinks he can outsmart Mueller. A sit-down with Trump would give Mueller the opportunity to ask the president about a wide-range of issues related to the Russia investigation. In June 2016, Trump’s eldest son, Donald Trump, Jr., met with Kremlin-connected lawyer Natalia Veselnitskaya at Trump Tower in New York. Trump campaign manager Paul Manafort and Trump’s son-in-law, Jared Kushner, were also at the meeting. The president’s aides apparently urged him to draft a truthful statement that could not be repudiated if more details about the meeting emerged, but he overruled them. Two weeks later, Mark Corallo, the former spokesman for Trump’s legal team, resigned. In January 2018, the controversial author Michael Wolff claimed in his book, “Fire and Fury: Inside the Trump White House,” that Corallo resigned because he viewed Trump’s dictation to his son as possible obstruction of justice. Mueller has already requested an interview with Corallo. When they meet, Corallo is expected to tell Mueller that White House communications director Hope Hicks reassured Trump that the true nature of the Trump Tower meeting “will never get out,” suggesting that she was planning to conceal or destroy the evidence,” according to The Times. On February 13, 2017, Trump fired his national security adviser, Michael Flynn, who served just 22 days on the job. Trump initially said he fired Flynn because the retired Army Lieutenant General lied to Vice President Mike Pence about his conversations with Sergey Kislyak, Russia’s Ambassador to the US. But in a tweet last year, Trump wrote that he knew Flynn had lied to the FBI and that was the reason he fired him. This admission indicates that Trump knew about Flynn’s lying to investigators when he fired then-FBI Director James Comey. That would suggest that Trump fired Comey, at least in part, to prevent him from pursuing charges against Flynn. In December 2017, Mueller charged Flynn with lying to the FBI. Flynn pleaded guilty. 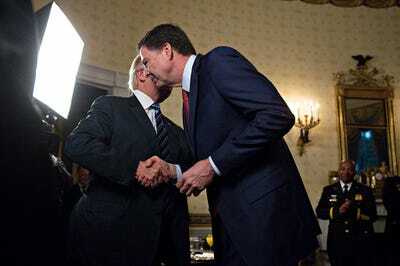 Andrew Harrer-Pool/Getty ImagesTrump shakes hands with Comey at the White House shortly after Trump’s inauguration in January 2017. Three months after Flynn’s ouster, Trump fired Comey, citing Comey’s handling of the FBI’s investigation into Clinton’s use of a private email server to conduct government business. But Trump later told NBC News’ Lester Holt that “this Russia thing” had been a factor in his decision. He also reportedly told two top Russian government officials, one day after dismissing Comey, that his firing had taken “great pressure” off of him. Comey’s firing prompted Deputy Attorney General Rod Rosenstein to appoint a special counsel to continue the Russia investigation. Rosenstein was overseeing the Russia probe because Attorney General Jeff Sessions previously recused himself from taking any investigative role in the investigation since he met with Kislyak, the Russian diplomat, during the presidential campaign. Trump has criticised Sessions for his recusal, calling him beleaguered and saying that he never would have appointed Sessions as attorney general if he knew he would recuse himself. During a potential interview with the president, Mueller is reportedly expected to home in on Trump’s rationale for firing Comey, as well as reports that Trump asked him for a loyalty pledge during a private dinner in January 2017. Trump has repeatedly called into question the integrity of former deputy FBI director Andrew McCabe and Deputy Attorney General Rosenstein, both of whom Trump has accused of being biased against his administration. During a meeting with McCabe after Comey’s firing, Trump also reportedly asked McCabe who he voted for during the 2016 election. The attacks against top law-enforcement officials intensified amid the memo controversy. Drafted by Republican chair of the House Intelligence Committee Rep. Devin Nunes, the memo claims, among other things, that Rosenstein abused his surveillance authority when he signed off on so-called FISA applications seeking extended surveillance of Carter Page, a Trump campaign adviser. The memo has prompted concern that Trump is looking to fire Rosenstein. Just one month after Mueller took over the Russia investigation, Trump reportedly ordered him fired, but backed down after White House counsel Don McGahn threatened to resign. McGahn argued that Mueller’s firing would ultimately hurt the Trump administration and raise questions about whether the president was trying to obstruct justice, The New York Times and Washington Post reported.